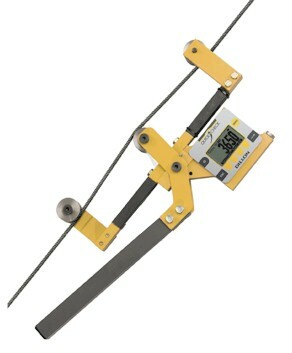 The Dillon Quick Check Tension Meter can be placed on a cable, measure its tension, and removed in under 5 seconds! There are no complex lookup tables, no conversion charts. The operator can quickly select from 15 different wire sizes and types stored in Quick-Check's memory. The Check-Tensioning mode graphically displays the current and target tensions for extremely quick setting of line tension. Even the infrequent battery changes are quick.